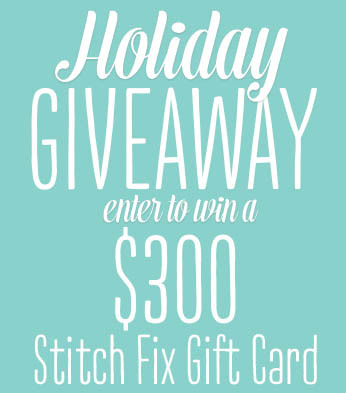 Stitch Fix Gift Card Giveaway! By now, many of you have probably heard of Stitch Fix, the amazing online styling service that ships beautiful clothes right to your front door! It quickly became one of my favorite ways to shop and next week I will be receiving my 28th Stitch Fix box! 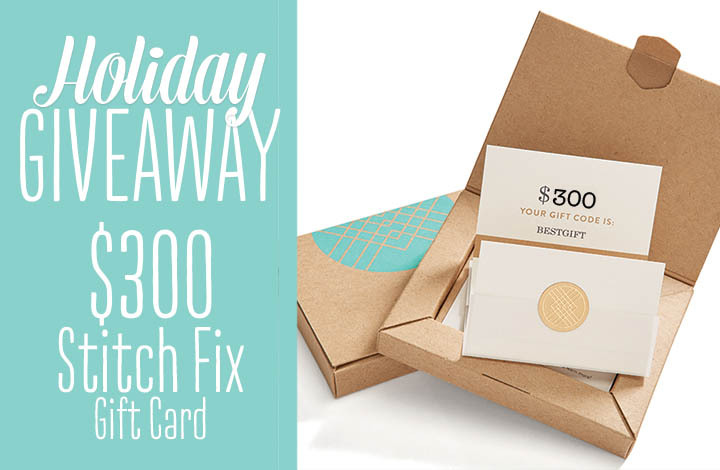 Christmas is coming, and since I love Stitch Fix so much, I am partnering with other Stitch Fix bloggers to give away a $300 Stitch Fix gift card! One of the great things about Stitch Fix is that they have an incredible selection of styles. Many of my teacher outfits are from Stitch Fix! In addition, they have stylish and comfortable clothes for weekend wear, as well as dressy outfits that are perfect for those days or evenings where I want to really dress up! Whether you’ve been a loyal Stitch Fix customer, or never heard of it, this giveaway is a great opportunity to add to your wardrobe! If you are interested in learning more about Stitch Fix, you can click here to head to their site and start filling out your style profile! You can enter the giveaway using the Rafflecopter below! Good luck! Now that you’ve entered to win the $300 Stitch Fix Gift Card, click on the images below to check out these other Stitch Fix bloggers!